WALTHAM, MASSACHUSETTS, UNITED STATES, July 9, 2018 /EINPresswire.com/ -- WALTHAM, MA, JULY 9, 2018 - OnPage, the premier vendor of clinical communications, has become the provider of choice for the growing home healthcare & hospice industry with its recent initiative with the largest home healthcare agency in Northern America. OnPage implemented their robust clinical communications platform to an organization caring for 368,000 patients in their home, as well as thousands of hospice facilities across the country. Keeping the patients comfort and immediacy-of-care in mind, the home healthcare agency and OnPage were able to implement the rock-solid reliable clinical communication platform, creating a seamless patient experience. From the start, OnPage understood that immediate communication between care team members, doctors and nurses was crucial to a patient’s well-being and successful homecare operations. Whether it be in the patient’s home or in one of the thousands of hospice facilities across the country, OnPage implemented a secure communication solution that aligned itself with the agency’s vision of providing their patients with compassionate home health, hospice, and personal care services that apply the highest quality clinical practices, allowing their patients to maintain a sense of independence, quality of life and dignity. “When providing clinical communications to a healthcare institution it’s imperative to focus on real time communications” said Judit Sharon CEO of OnPage Corporation. 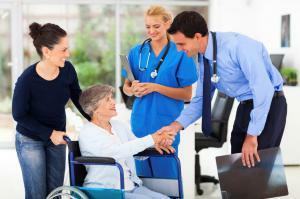 Read more about OnPage’s clinical communications solution in home healthcare here. The company’s commitment to client success is reflected in its broad support organization that works directly with clients at every stage to streamline communication workflows and achieve the highest possible ROI. For more information, follow OnPage on Twitter (@On_Page) and visit www.onpage.com to learn how clients like Alberta Health Services, Tenet Health and Children’s Hospital Las Angeles are using OnPage to solve healthcare’s biggest communication challenges.